Barry P Chaiken, Associate Chief Medical Officer, BearingPoint and Fellow of HIMSS, USA. 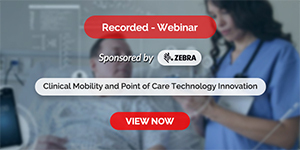 For information technology to play a valuable role in reducing healthcare costs while enhancing quality of care, it must be deployed within newly defined workflow that completely reinvents how care is delivered, professionals provide the care, and technology is leveraged throughout care delivery. In the design of successful Healthcare Information Technology (HIT) implementations, patients matter. Although the importance of addressing the workflow needs of clinicians cannot be overstated, focusing on patient needs helps ensure newly designed workflows leverage the full capabilities of information technology tools. In addition, this delivers the clinical and financial outcomes desired by organisations. Entities that ignore the needs of clinicians in designing HIT driven workflows can expect to experience either low levels of HIT adoption among clinicians, suboptimal patient care results, or both. Focusing on patient care provides a framework in which to create effective workflows that leverage new technology to deliver promised value to caregivers and their patients. Therefore, organisations that utilise new information technologies to mimic the existing workflow of clinicians deliver results no better than outcomes previously reached. In some cases, the inherent complexity of the information technology when deployed within a paper-based workflow can deliver results worse than originally obtained. To effectively implement HIT, organisations must understand in-depth the capabilities of the available information technology, the requirements of the practicing clinicians, and the expected outcomes of all impacted stakeholders (i.e. patient, clinician, organisation). Teams built from a cross-section of disciplines and perspectives hold the greatest promise in designing effective workflows. Building a comprehensive workflow across caregivers allows for efficient use of resources to achieve specific patient goals. Workflow is defined as any task performed in series or parallel by two of more members of a work group to reach a common goal. ‘Tasks’ refer to any activities or actions undertaken by individuals. ‘Series or parallel’ implies tasks performed one after another or simultaneously. ‘Work group’ means a team of individuals working on the same project. Finally, ‘common goal’ indicates that a group’s various activities are performed in concert to contribute to a well-defined and agree on outcome. At a granular level, workflow functions to (1) deliver information to the appropriate people, (2) organise information to be immediately useful, (3) ensure that the information is acted on, and (4) file information and record actions taken. The specific needs of the healthcare industry make it an ideal match with workflow concepts. Healthcare involves complex procedures that include both clinical and administrative tasks. As a result, workflow increases efficiency and effectiveness through the maximal integration and use of relevant, timely information. Due to its heavy reliance on information, healthcare is in a unique position to take advantage of the information benefits provided by the implementation of workflow concepts. Creating the forms, documents, and instructions needed by individuals at each step to perform the tasks (e.g. patient hospital discharge instructions). Readily available healthcare information technologies offer invaluable tools such as Single Sign-On (SSO), roaming desktops, location awareness, and fast-user switching to support impactful patient-centered workflows. For example, let us consider an inpatient post-myocardial infarction diabetic patient on the day of discharge. Administration of medications requires a nurse sign-on to multiple HIT applications including a medication administration system to obtain a list of prescribed medications and an electronic medical record system to document patient care. SSO allows for rapid access to multiple systems through the use of a single two-factor authentication process: who you are (e.g. proximity identify card) and what you know (e.g. password). As the nurse previously reviewed the patient’s record at the nurses station, roaming desktop technology permits rapid access to the identical desktop in the patient’s room without needing to open or position the required applications on the display screen. With such technologies, devices function independently allowing for the use of computers and tablets interchangeably during the continuum of patient care workflow. As some applications may be inappropriate for display in a patient’s room—email, human resource systems, web searches—location awareness technology filters only information that is relevant to the patient. Such filtering allows for the use of dual displays that deliver simultaneous viewing of clinical information by the clinician and the patient. In addition, location awareness directs the convenient printing of relevant documents, in this case, patient discharge instructions at the patient’s bedside printer. Lastly, fast-user switching facilitates the use by multiple clinicians of the same HIT platform (e.g. bedside computer) by rapidly presenting user-specific displays, as defined by role (e.g. nurse, physician, specialist). The technology eliminates the need for frequent complete sign-out or sign-in by each user, a ghastly clinician off-putting process. Patient-centered workflow requires stringing together individual steps, the linking of processes, and the bridging of activities by multiple caregivers to create an effective and efficient orchestration of resources to enhance the health of the patient. Technology provides only the tool kit to achieve these workflows. Knowledgeable professionals from multiple disciplines synergistically working together hold the potential to build efficient models for care. By focusing on the patient, rather than the technology or any individual participant in the workflow, provides the greatest opportunity to achieve successful outcomes that benefit the clinician, organisation, and patient. In addition, healthcare systems require a HIT revolution, a drastic change in the way care is delivered by utilizing information technology in new and innovative ways. As already noted, deploying HIT, to replicate the processes and workflows that currently deliver poor results on so many measures, only guarantees continued suboptimal and unacceptable clinical and financial outcomes. We must focus on three key areas: 1) Information technology tools, 2) Processes and workflows, and 3) Healthcare provider tasks, duties and responsibilities. Solutions come from an in-depth understanding of tools, and creative thinking around what each healthcare professional can do and how best to deploy an individual’s skill. Valued HIT solutions offer these professionals information technology tools that leverage their unique skill, while organizing the processes and workflows to deliver a consistently high quality, safe, and efficient healthcare outcome. Clinical decision support at the point of care plays a significant role in expanding the number of clinicians available to provide primary care. Through such HIT tools, best practices—those that we know from scientific evidence offer the highest probability to produce the best healthcare outcome—can be delivered to each patient by healthcare professionals educated, guided, and ‘double-checked’ by the HIT tool. Currently, patient delivery depends upon an unreliable system formed from poorly integrated and highly variable human participants. Solutions integrating clinical decision support provide needed adjunct tools that increase the reliability of the human components, while integrating these components through effective processes and efficient workflows. In addition, as best practices change, they can efficiently be delivered through the existing workflow by simply changing the knowledge contained in the clinical decision support tool. Currently, changing practice patterns requires the inefficient, and mostly ineffective, method of targeted medical education. Deployment of clinical decision support within HIT systems fundamentally changes what physicians, nurses, and other healthcare professionals do. Physician activities become more challenging on a cognitive level as other routine tasks such as drug dose recall, use of best practice order sets, and drug-allergy checking become automated. Physician expertise is assigned to more important tasks including solving difficult diagnostic problems, devising customised patient treatment plans, and influencing patient adherence to chronic disease care regimens. Work for nurses and other healthcare professionals changes dramatically too. More tasks, formerly done by physicians or healthcare specialists, are completed by these professionals guided by intelligent processes and workflows that include meaningful HIT. Therefore, the number of qualified clinicians available to deliver quality care increases to meet the demands of expanding populations in need to care. Clinical knowledge and experience, normally obtained only through years of study and work, can now be codified in clinical decision support tools that less trained clinicians can apply to their patients. The delivery of care is now standardized around a high level of quality, with outlier patients—those identified as having unusual medical problems and in need of more complex care plans —referred to primary care physicians or physician specialists. As uncomplicated patients make up the majority of an ambulatory medicine practice, many visits engender monitoring of a patient’s medical condition or treatment for simple ailments rather than deciphering of puzzling diagnostic challenges or devising significant changes to therapeutic plans. Reducing the number of these types of patients seen by physicians, frees them up to care for patients requiring higher levels of service. Expanding the capabilities of all clinicians through the deployment of clinical decision support increases the availability of primary care providers while ensuring high levels of quality care. The revolution for healthcare providers is inherent in the dramatic change needed in what professionals do and how they do it. Therefore, effective change management techniques must be utilized to facilitate the acceptance of new responsibilities and duties in addition to the new processes and workflows required of these new roles. Before the expansion of clinician roles achieves widespread adoption, reimbursement policies for all types of providers must be addressed. Currently financial disincentives exist for some physicians who ‘outsource’ visits to physician extenders. Payors must team with both large physician groups and small independent practices to construct reimbursement models that allow for the increase in non-physician primary care clinicians while preserving incomes for physicians. These models must include the use of clinical decision support tools embedded in the workflow of deployed electronic medical records. Perhaps the interest in capitated models now seen in accountable care organisations and medical home projects being deployed in the US indicates that innovations already exist in this area. These projects offer models that can be adopted by governments or other types of payors throughout the world. For information technology to play a valuable role in reducing healthcare costs while enhancing quality of care, it must be deployed in a way that completely reinvents how care is delivered, professionals provide the care, and technology is leveraged throughout care delivery. In 2012, progressive organisations will effectively allocate their investment in HIT by utilising clinical decision support and modifying workflows to expand the effective and efficient use of their clinical staff, while delivering enhanced outcomes to patients. Chaiken, B. P., & Thompson, M. A. (1997). Enhancing quality / controlling costs: Using Internet technology to apply workflow to healthcare. Journal of Healthcare Information Management, 11(3), 73-80. Chaiken BP. Clinical Decision Support Revolutionizes Delivery Of Care. The Top 10 Health IT Trends For 2011, p. 12-13. 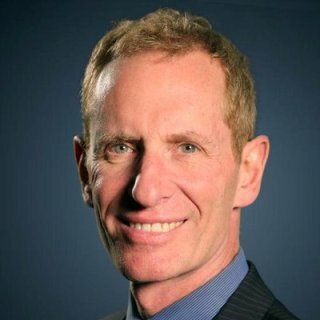 Barry Chaiken has more than 20 years of experience in medical research, epidemiology, clinical information technology, and patient safety, Chaiken is board certified in general preventive medicine and public health and is a Fellow, and former Board member and Chair of HIMSS. Barry currently serves on the Advisory Boards of Aventura, the Digital Healthcare Conference, the Institute of Healthcare Technology Transformation, and PanGenX.